Life ExtensionⓇ is one of our favorite supplement brands. They have been helping people stay healthy and improve their quality of life since 1980. Continually on the forefront of groundbreaking medical research, all of their supplements are formulated by clinically-proven scientific research. Like us, they believe that diet, exercise, and nutritional supplements are all smart lifestyle choices. Only the highest quality raw materials are used in their supplements, so your satisfaction is guaranteed. Advanced Bio-Curcumin® with Ginger & Turmerones – High bioavailability combination that allows your body to absorb all the curcumin it needs. Has whole-body health benefits for nearly every organ system. Promotes healthy cell division and inflammatory response. Promotes healthy immune system and digestive function. AMPK Activator (vegetarian) – Emulates cell energizing effects of caloric restriction and promotes youthful metabolic health. Inhibits multiple damaging factors associated with aging. DHEA* (25 mg, 50 mg, 100mg) – Supports a healthy hormone balance and whole-body health. 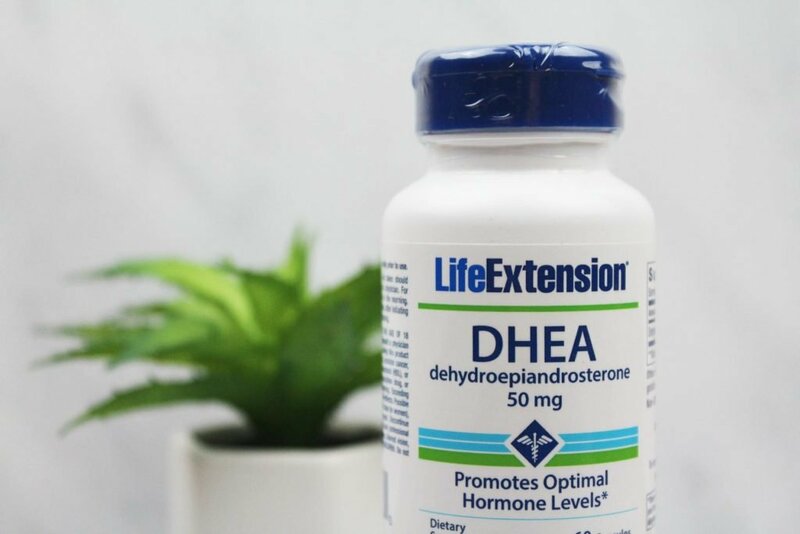 Maintains youthful DHEA hormone balance. Encourages healthy immune function and circulation. Promotes a healthy body weight and lean muscle mass. Supports healthy a mood, libido, and well-being. Enhanced Super Digestive Enzymes (vegetarian) – Promotes healthy digestion. Promotes better absorption of nutrients. Provides three types of digestive enzymes. Supports digestion of proteins, fats, carbohydrates, and other nutrients. Melatonin (1mg, 3mg, 10mg) – Promotes optimal sleep and cellular health. Optimized Chromium with Crominex® 3+ (500mg) – An advanced chromium complex that maintains a healthy glucose metabolism. Supports normal cellular glucose absorption. Supports healthy lipid and triglyceride levels. Super Omega-3 EPA/DHA with Seasame Lignans and Olive Extract – A heart and brain healthy fish oil formula. Enteric-coating option for greater digestive ease for sensitive stomachs. Super Ubiquinol CoQ10 (100mg) – The ultimate heart-friendly supplement. Promotes healthy energy production at the cellular level. Vitamin D3 (1000 IU, 5000 IU, 7000 IU) – Provides broad-spectrum health benefits of the “sunshine vitamin”. Encourages healthy cell regeneration and differentiation. Regulates the body’s calcium balance. Two-Per-Day Tablets – Has the highest nutritional potencies on the market. Maintains a youthful metabolism (vitamin B1, B3, B6, B12). Strengthens arteries, bones, and immunity (vitamin C). Promotes healthy bone density, cell division and differentiation, and protection against age-related problems (vitamin D). Promotes healthy living with minerals and antioxidants (biotin, selenium, vitamin E, zinc). *We also carry a slow-release 10mg DHEA supplement from NutrascriptivesⓇ.